Á Bergsson RE finnst okkur skemmtilegast að elda fisk, hvað sem er úr fiski, enda horfum við á fiskinn koma í land út um gluggan hjá okkur. Við erum hádegisverðarstaður í grunninn þar sem fólk getur stólað á að fá hollan, góðan og fljótlegan hádegisverð þar sem þó er hvergi slakað á í gæðum, rétt eins og á Bergsson mathúsi. Á Bergsson RE er líka upplagt að blása til hverskonar veislu og er hægt að panta salinn með veitingum hvenær sem er hvort sem er fyrir brúðkaup, afmæli eða árshátíð. 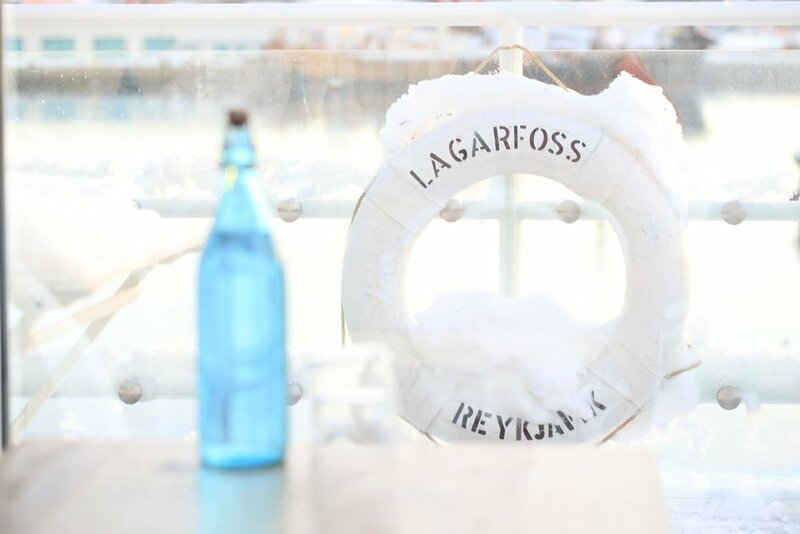 At Bergsson RE what we like the most is to cook fish and seafood. Maybe it's because we watch the fishing ships bring it in out our window and maybe it's just because it tastes great. Who knows. We are essentially a lunch restaurant where punters can be sure to get healthy, tasty and quick lunch. 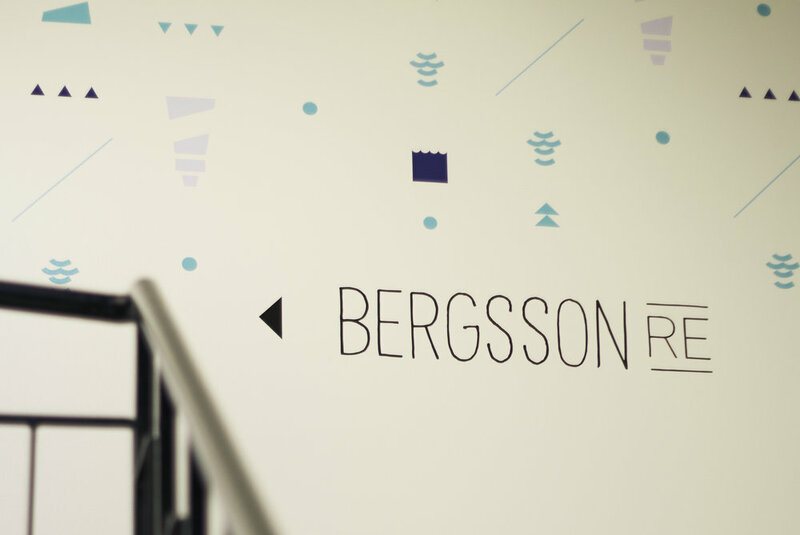 Bergsson RE is also the perfect venue for parties of any kind. Weather it's for a wedding, birthday or gala dinner, we cater for that. Á Bergsson RE bjóðum við upp á hollan og bragðgóðan mat. Við leggjum mikið upp úr gæðahráefni og erum vinir grænmetisætunnar. Matseðillinn er uppfærður á Facebook síðuna okkar á hverjum degi. At Bergsson RE we offer healthy and tasty food. We only use the finest ingredients and we are vegan and vegetarian friendly. Check out our Facebook for daily updates. Bakaðar rauðrófur með spínati, Spínatlasanja með rauðu pestói, Calamari með chillimæjó, Mini pizza með chilli og feta, Nýbakað súrdeigsbrauð með Babaganoush og Hummus, Súkkulaðitart. Nýbakað súrdeigsbrauð og: -Babaganoush, Spicy chilli feta dip, Hummus, Fatoush, Calamari og chillimæjó, Ólífur. Heimabakað súrdeigsbrauð og: -Babaganoush, Spicy chilli feta dip, Hummus, Fatoush, Ólífur, Laxaspjót teriyaki, Lambaspjót souvlaki, Calamari með chillimæjó, salfiskbollur með tartarsósu. Baked beetroot with spinach, Spinach lasagna with red pesto, Calamari with chili mayo sauce, Mini pizzas with chili and feta cheese, Freshly baked sourdough bread with babaganoush and hummus, Chocolate tart. Freshly baked sourdough bread, Babaganoush, Spicy chili feta cheese dip, hummus, fatoush, calamari and chili mayo sauce and olives. Tandoori chicken skewers, Lamb souvlaki skewers, Beef skewers with bearnaise sauce, Bacalao balls with tartare sauce, Calamari with chilli mayo sauce, baked beetroot with spinach, Broccoli salad with garlic and chillies, Freshly baked sourdough bread and: Babaganoush, Spicy chilli feta cheese dip, hummus, olives and chocolate tart. 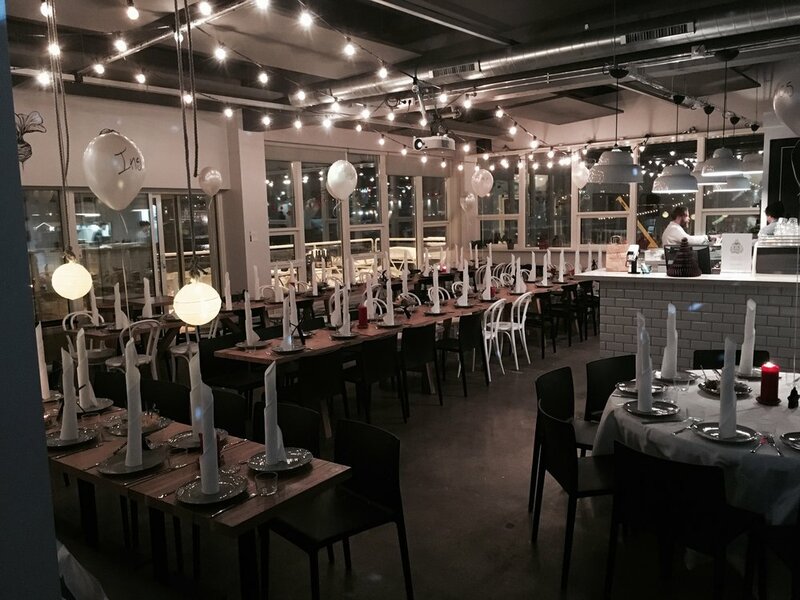 Minimum number of guests is 50 people and the minimum price for the refreshments is 2500 kr. Per person. Fólk getur raðað saman sínu eigin kokteilboði. Lágmarksfjöldi er 50 manns og lágmarksupphæð veitinga eru 2.500 á mann. Hægelduð andalæri á sveppa “byggotto” með brokkolí. Appelsínu anis grafin silungur með dill, fennel og hunnangsgljáðum möndlum. Glóðasteikt lambaprime með tímían og hvítlauk, sætkartöflumús ásamt grillaðari papriku og soð sósu. Steiktur sjóurriði, sítrónukartöflumús og spergilkálssalati. Rabarbari og berjakompot með þeyttu aniskremi og stökkum höfrum. Karamellaður ananas – vanillu ís – möndlu kaka. Athugið að miðað er við að sami matseðill sé valinn fyrir allan hópinn 30 eða fleiri. Ef einhverjar séróskir eru, s.s. ofnæmi eða grænmetisætur tökum við að sjálfsögðu tillit til þess, en þá þurfum við að vita af þeim fyrirfram. Kaffi, te, Appelsínusafi, vatn. Gos 450 kr á mann. Hægt að bæta við hlaðborði fyrir börnin: mini pizzur, kjúklíngalæri, grænmettis puttar, salt stangir og ávekstir. 1600 kr á mann. Súkkulaði brownie biti og ferskir ávekstir. . The Green Lighting; spinach, apple and ginger smoothy. Parma ham, fresh tomato and cucumber slices, salsa with beans, fresh salad, baked camembert with walnuts and honey. Potato wedges with rosemary and parmesan. Coffee, tea, orange juice, water. Soft drinks are 450 kr. per person. The Green Lighting; spinach, apple and ginger smoothy. Parma ham, fresh tomato and cucumber slices, salsa with beans, fresh salad, baked camembert with walnuts and honey. Grilled lamb with thymes and paprika, oven-roast root vegetable. Potato wedges with rosemary and parmesan.